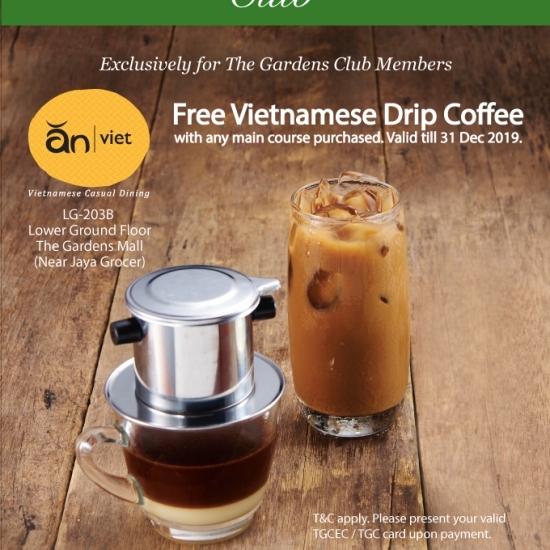 The Gardens Club brings value added shopping experiences with exclusive privileges and warm hospitality, as well as two dedicated lounges specially for its members. 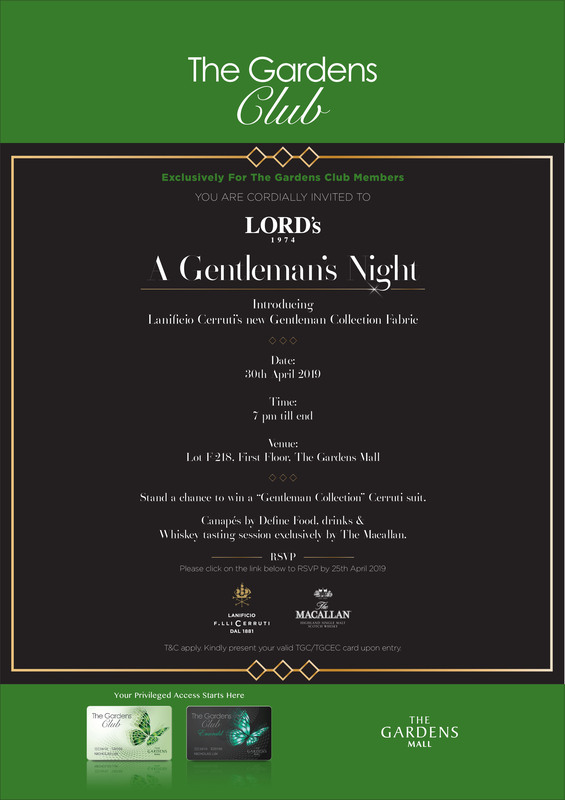 Enjoy red-carpet treatment at The Gardens Mall with a program designed exclusively for you. 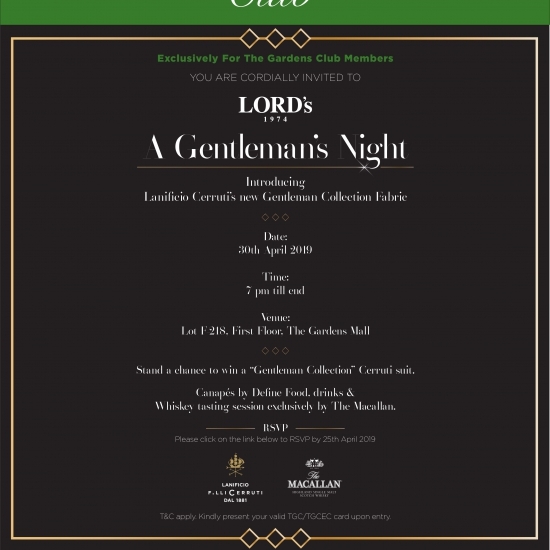 The Gardens Club offers privileged access to all the benefits that the Mall has to offer such as exclusive discounts, promotions across an entire range of products and services. 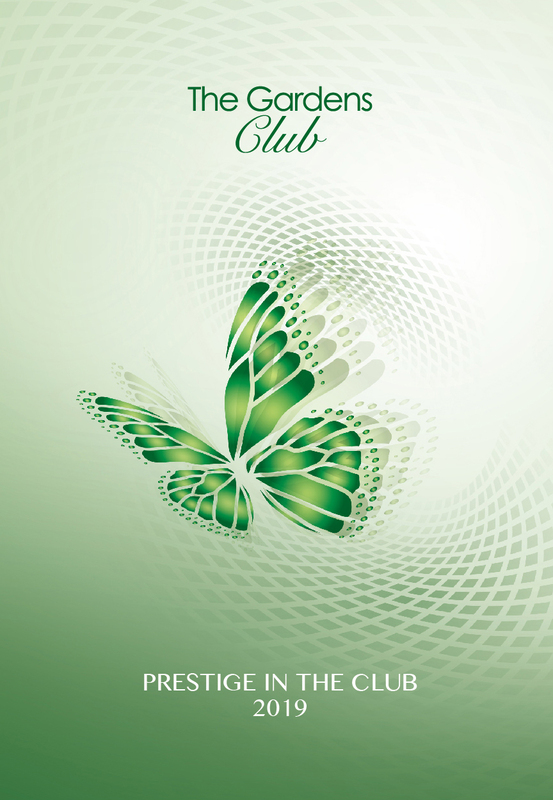 As a member of The Gardens Club Card and The Gardens Club Emerald Card, you’ll also get to enjoy parking privileges, invites to special events and activities as well as regular updates on even more attractive offers. 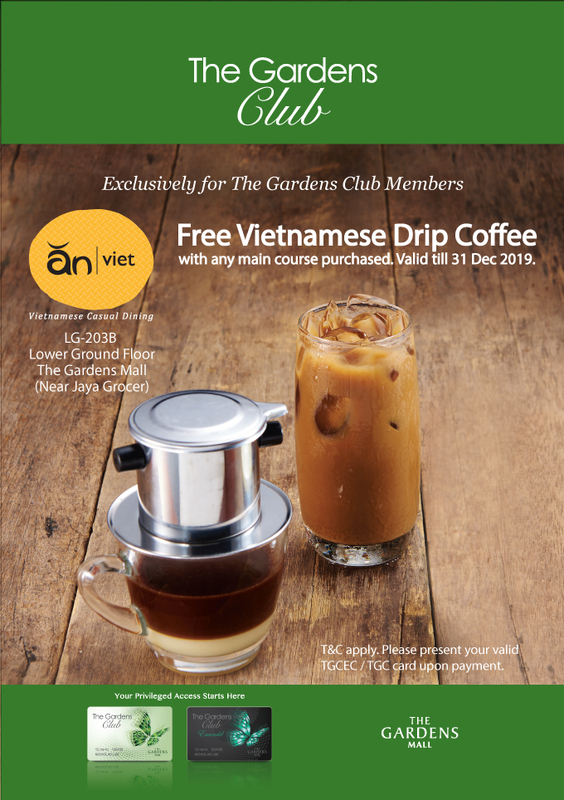 Kindly click here for more info on the TGC’s exclusive offers and here on TGCEC’s exclusive offers. Applicable only for Malaysians or residents in Malaysia. 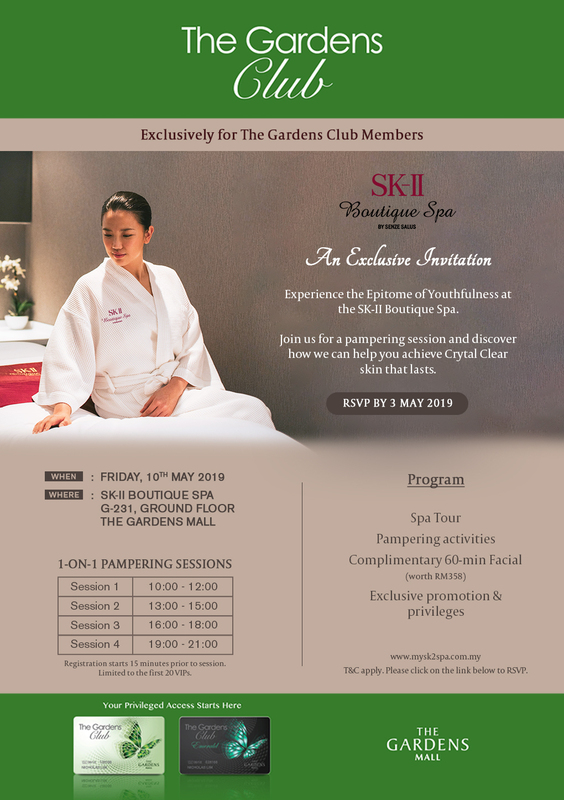 Complimentary Sign Up application(s) requires proof of RM5,000.00 spent in a single receipt in The Gardens Mall, Mid Valley City. Validity of the membership card is for 1 year. 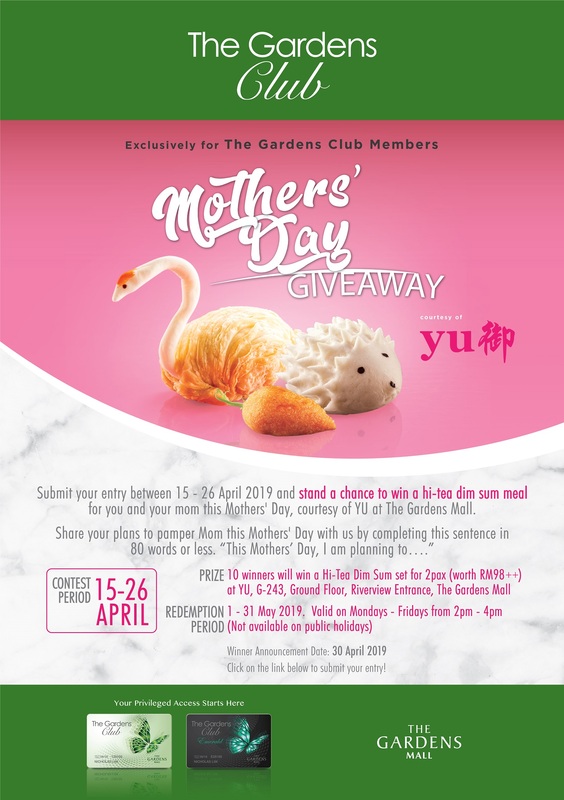 Members are responsible for renewal of membership at The Gardens Club one month prior to or one month after the expiry date of the membership. 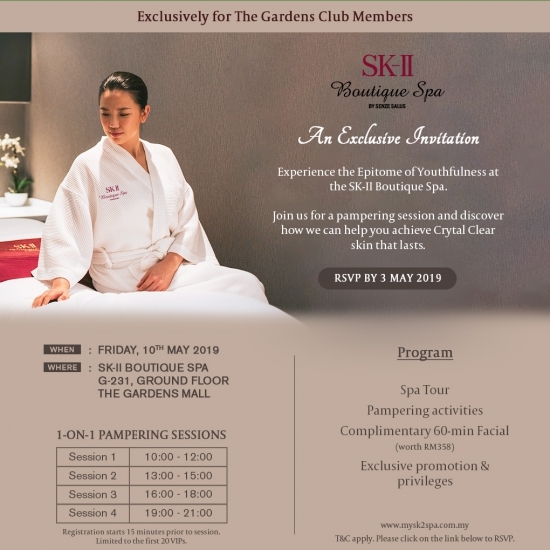 Complimentary renewal applications require proof of purchase of a minimum accumulated spend of additional RM5,000.00** (excluding the sign up spending amount) within 12 months' time frame in the Gardens Mall. Expired members will be required to spend RM5,000.00 in a single receipt** for new sign up. All the relevant receipt must be submitted along with the application form for both new applications and renewal of membership within seven (7) days from the receipt date. 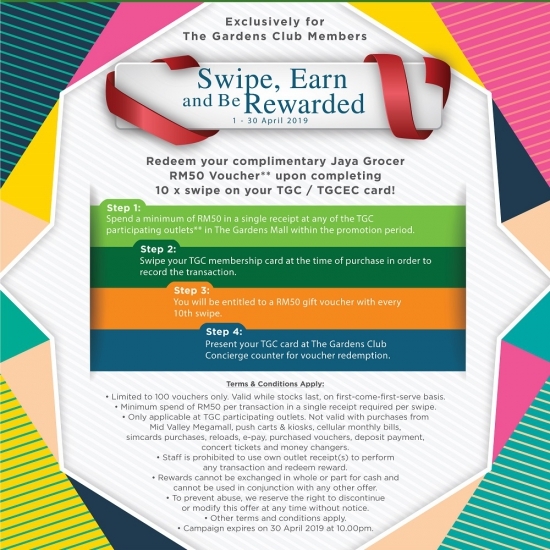 Check out The Gardens Club Card’s terms and conditions here. 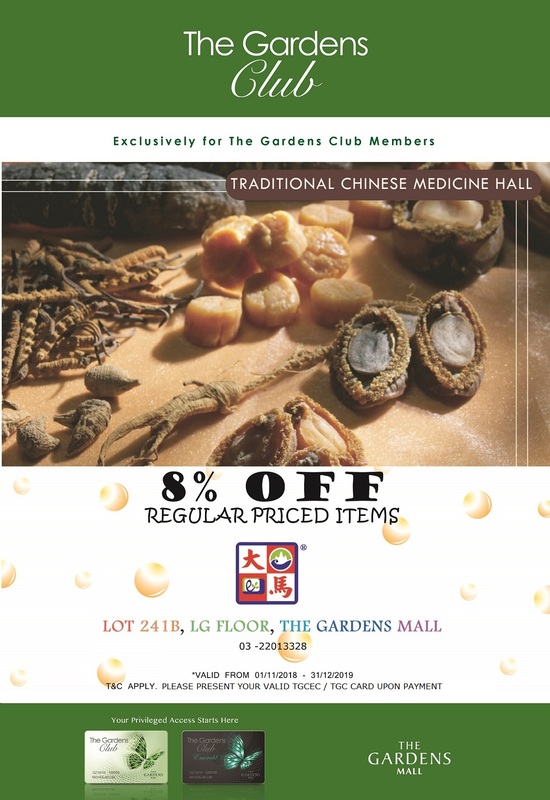 Free first 3 hours with spend of above RM200 in a single receipt at any outlet within The Gardens Mall. 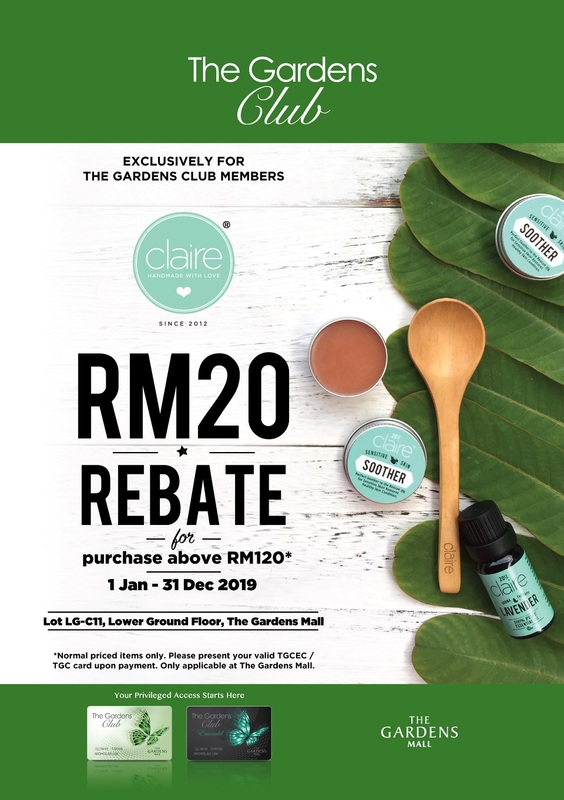 Free first 4 hours valet parking with spend of above RM800 in a single receipt at any outlet within The Gardens Mall ** Limited to ONE redemption per day. 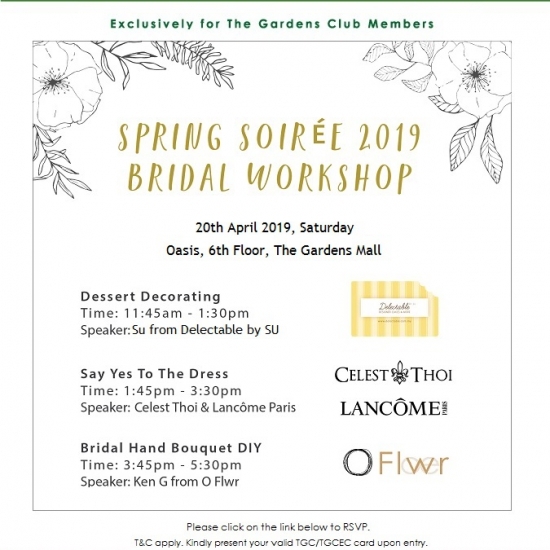 Receive exclusive invitations to special events /activities organized by The Gardens Club and participating retail outlets. 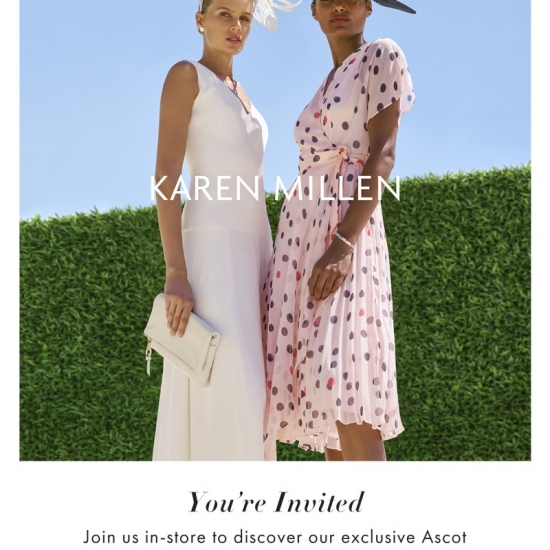 Regular updates sent to your email. 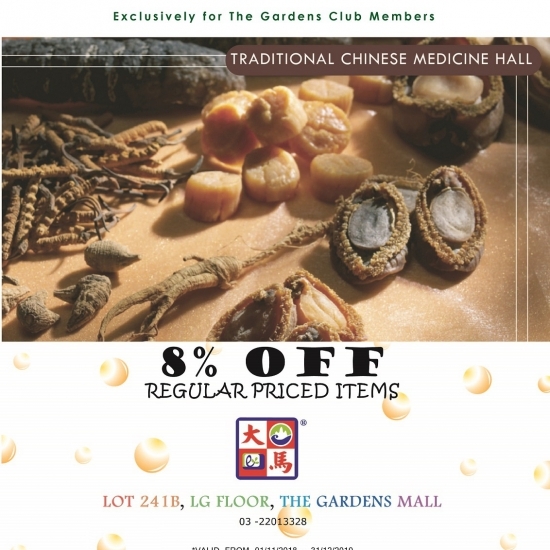 Exclusive offers and discounts from participating outlets in The Gardens Mall. Access to the exclusive The Gardens Club Lounge on 4th Floor. Exclusive gift upon Sign up and renewal of TGC memberships. Birthday gift during birthday month. 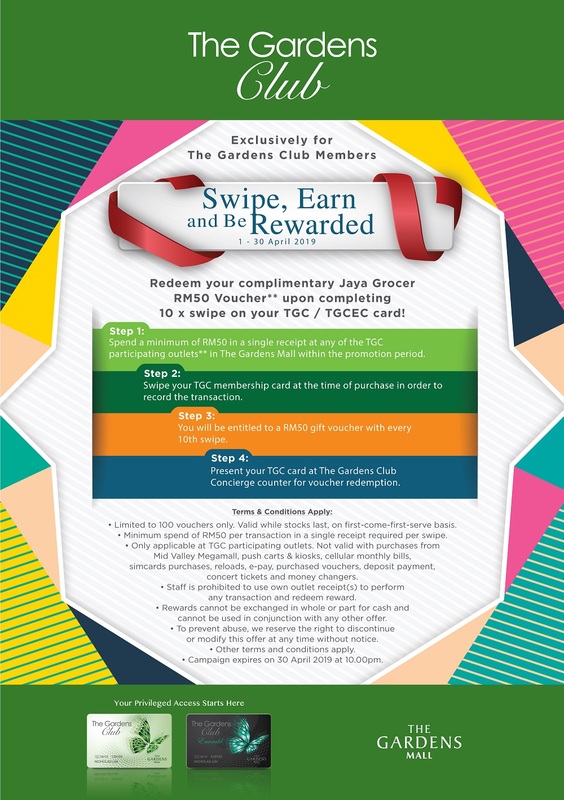 Complimentary sign up / upgrade for TGC members with spend of RM100,000.00 or more (multiple receipts) within ONE month duration. The relevant receipts must be submitted along with the application form for both new applications and renewal of memberships. 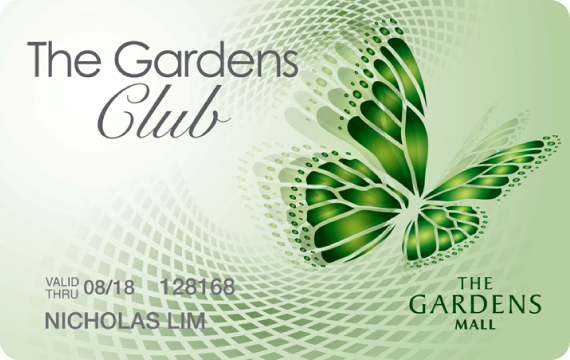 Members are responsible for renewal of membership at The Gardens Club one month prior to or one month after the expiry date of the membership. 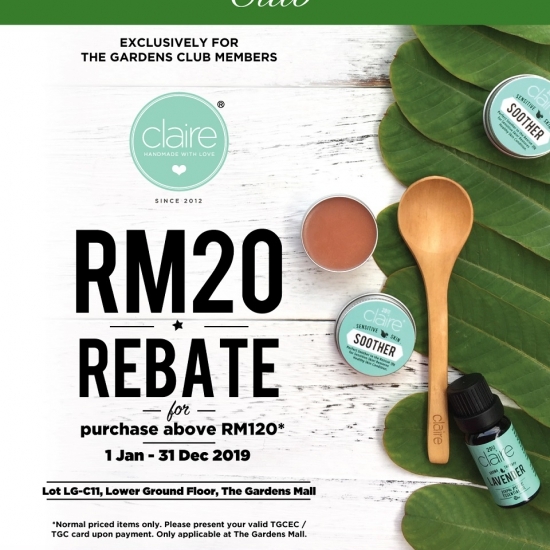 Complimentary renewal applications require proof of purchase of a minimum accumulated spend of additional RM50,000.00** (excluding the sign up spending amount) within 12 months’ time frame in The Gardens Mall. Expired members will be required to spend RM100,000.00 in a single or multiple receipts** within a month duration for new sign up. 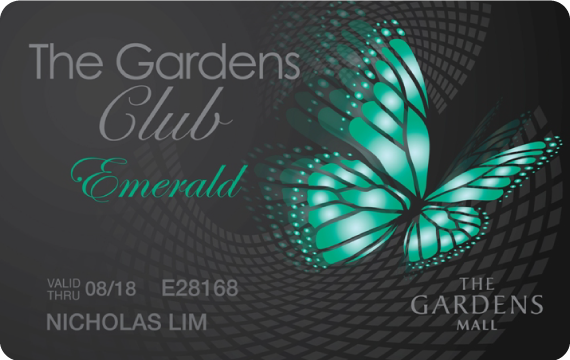 Check out The Gardens Club Emerald Card’s terms and conditions here. Free ONE day parking or Valet parking for the day of entry only. ** Limited to ONE redemption per day. 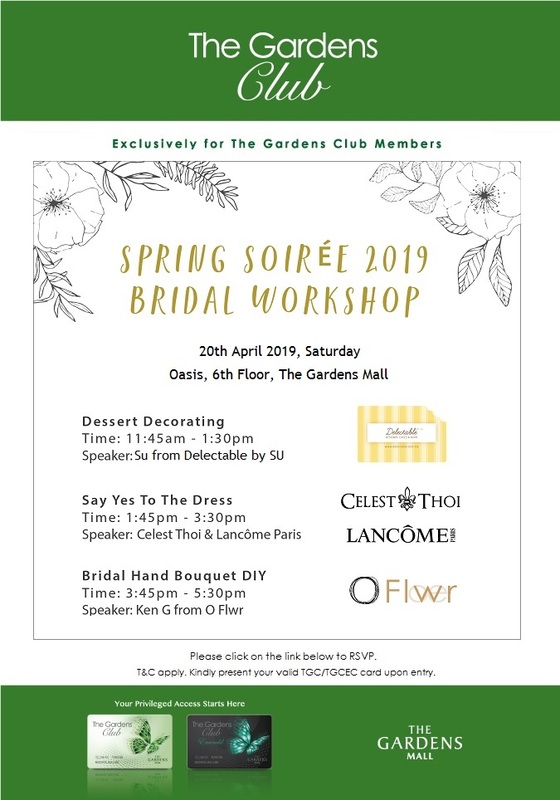 Receive exclusive invitations to special events /activities organized by The Gardens Club and participating retail outlets. 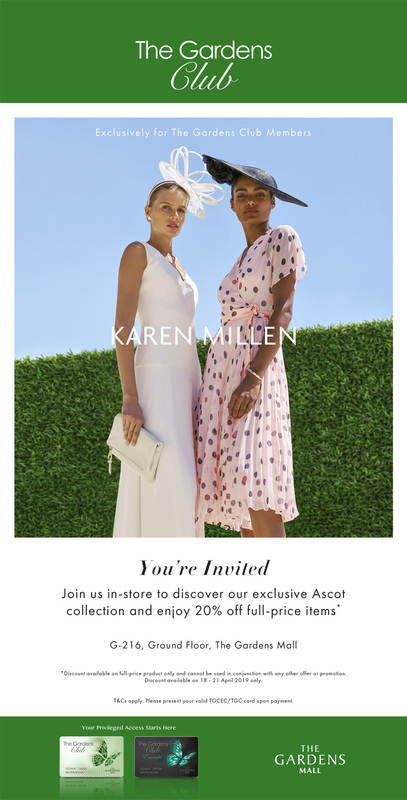 Priority RSVP & regular updates sent to your email. 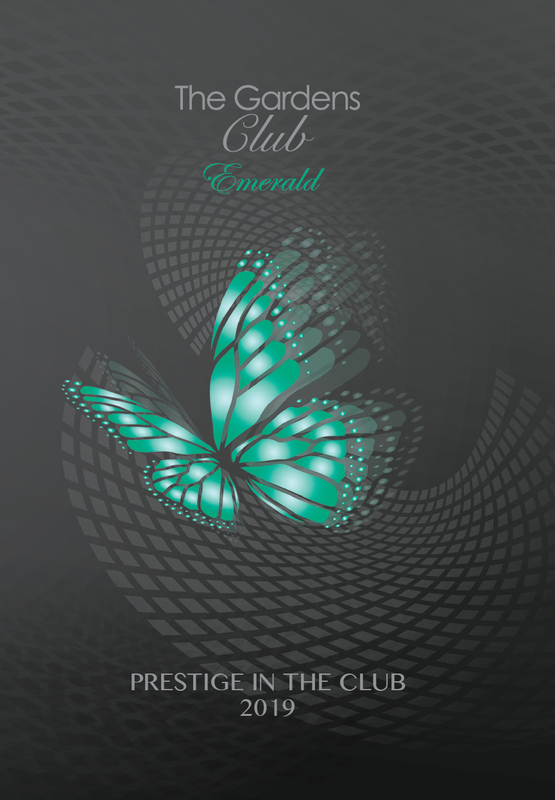 Access to the exclusive The Gardens Club Emerald Lounge on 4th Floor. Premier gift upon Sign up, and renewal of TGCEC memberships. Birthday gift during birthday month. 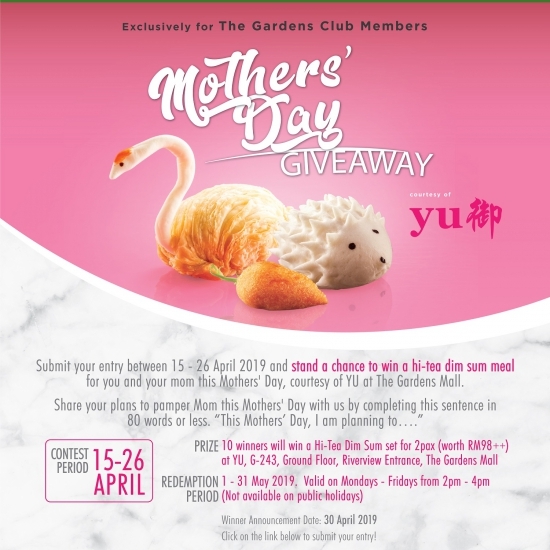 For more enquiries or feedback pertaining The Gardens Club, kindly approach TGC Concierge counter (opens daily from 10am to 10pm) or fill up and submit the form below. 4th Floor, The Gardens Mall, Mid Valley City, Lingkaran Syed Putra, 59200 Kuala Lumpur.